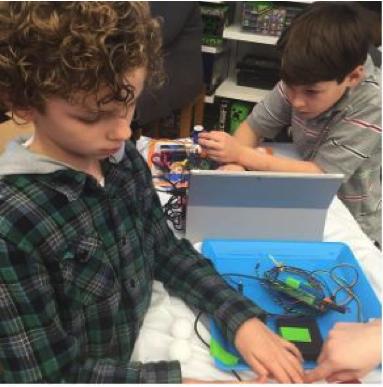 The Microsoft Store in Atlanta recently sponsored a series of free community events introducing robotics to kids 10 years old and up. A maker space environment was set-up along with BirdBrain Technologies’ “HUMMINGBIRD KITs.” This was a great opportunity for students to design, engineer, craft and program robots for the first time! AVez Select, LLC, was the presenter and motivation coach to ‘first time’ roboticists. The Microsoft Store supplied Surface Tablets, recycled boxes and art supplies to help unleash animatronic robots. It was amazing how quickly children were able to program their creatures! Snapchat is really an awesome app to explore. http://snaphacktut.com Your article and information in it has given me a wider scope of using snapchat thanks for the best snapchat post. Keep sharing. Hi, this is a great news for us that we have fast service of courier to track easily on dtdc lite courier tracking website. in this web they have give many option to get fast services. http://dtdccouriertracking.net on us website go online .